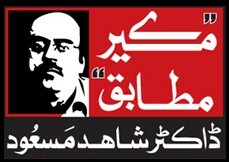 Chagatai Khan: Neutrality, Impartiality and Trial of Pervez Musharraf. Neutrality, Impartiality and Trial of Pervez Musharraf. 2007 ISLAMABAD: The three-year-old political sins of top MMA leaders have once again given a second lease of political life to General Pervez Musharraf at a very crucial phase, as the infamous 17th Amendment becomes the basis of the Supreme Court’s decision to allow a uniformed president to get himself re-elected for the next five years from the present assemblies. For many, the most-important thing is that the verdict of the Supreme Court has justified the recent claim of Musharraf that he had made with a lot of pride and arrogance in his choking voice that “let the agitators do their job, he would have the last laugh”. Likewise, the government’s prediction that it would win the case with a majority also turned out to be right. Meanwhile, the critical role of the MMA in facilitating the rule of Musharraf in uniform is so definite and irritating that during the two-week-long proceedings on the case, some judges did not forget to remind the religious parties about their ‘deeds’. It is now widely believed in the political circles that the MMA would go down in the history as a force which used political Islam not only to validate the rule of General Musharraf since October 12, 1999, but also helped him to become president in uniform first after the general election in 2002 and now in 2007 by providing legal and constitutional excuses to the Supreme Court to extend a favourable decision to a military general. One political observer said that if Musharraf gets himself re-elected as the president on October 6, it would be only because of the MMA leaders who had decided to vote in favour of 17th Amendment after striking a deal with a uniformed general and distorted the Constitution of 1973. Likewise, General Musharraf once again would be feeling grateful to the MMA leaders, particularly Qazi Hussain Ahmed and Maulana Fazlur Rehman, whose single act not only gave him the crucial support when he needed it most, but it continued to yield results when he once again needed it. 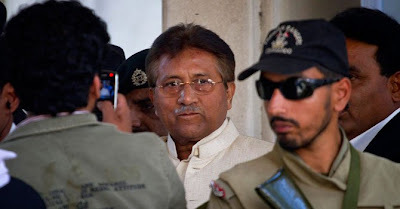 At the time of passage of the Legal Framework Order (LFO) in 2004 after the MMA leaders decided to betray the political forces engaged in desperate struggle against the rule of Musharraf, it was widely assumed that it might be only one-time “political sin” of the MMA leaders. But, now the SC verdict on Friday confirms the wild doubts of critics of the MMA that the country would continue to suffer from the havoc created by the decision of Qazi and Fazl. The MMA, nicked named as a “B team” of General Musharraf, had given a false impression after the 2002 elections that it would fight for the supremacy of the Parliament when President Musharraf would push his LFO for approval from the Legislature. In the absence of two former prime ministers – Nawaz Sharif and Benazir Bhutto – Qazi Hussain Ahmed and Fazlur Rehman simply hijacked the agitation movement of the opposition parties to oppose Musharraf and his LFO in the Parliament. The movement became so aggressive and popular in nature that at one stage, it emerged that Musharraf might yield to the rising political power of these forces. The international media and community were also giving serious attention to the political turmoil in Pakistan amid the rising pressure from the Commonwealth and the European Union on Musharraf to get legitimacy from the Parliament or he might lose their vital support. 2007 Ejaz says he helped release Ghazi in terror cases Wednesday, April 11, 2007 ISLAMABAD: Federal Minister for Religious Affairs Ejaz-ul-Haq has admitted that he had made personal efforts to get Maulana Abdul Rashid Ghazi, Naib Khateeb of Lal Masjid, released in cases of terrorism. Expressing his views in a talk show on Geo TV alongside Pakistan Muslim League-Nawaz Information Secretary Ahsan Iqbal, Nayyar Bukhari of the Pakistan People’s Party and Maulana Abdul Rashid Ghazi on Tuesday, the minister said he took the action after a written confirmation from the Maulana guaranteeing his good behaviour. Giving his side of the story in the programme, Maulana Abdul Rashid Ghazi denied the minister’s claim, saying he was never indicted in any terrorism case, while his car was impounded by police, which was never returned. He failed to give a satisfactory answer when asked about the fact that former chairman National Book Foundation Ahmad Faraz had registered an FIR against him on charges of forced occupation of land belonging to the Ministry of Education, but still no action was taken against him. Taking part in the debate, Ahsan Iqbal and Nayyar Bukhari accused Ghazi Abdur Rashid of conniving with the government to stage a socio-political drama to divert public attention from the ongoing judicial crisis. Ghazi said he has made it clear to PML-Q President Chaudhry Shujaat Hussain that the occupation of Children’s Library would continue until their demands for implementation of Islamic Shariah were fully met. Upon the terse comments, Ejaz-ul-Haq said if the Shujaat-Ghazi talks failed, the government would have no other option but launch a full-fledged operation at Lal Masjid. Meanwhile, Khateeb of Lal Masjid Maulana Abdul Aziz has started writing to the Ulema and the seminary students nationwide to seek their support in the ongoing row with the government. In his letters he urged the Ulema and students to rise against such social evils like liquor, obscenity and so-called “liberalisation”. Now please note the discrepancies in the column of Former MD PTV, Jang Group, GEO TV, ARY, and Express News Employee Dr Shahid Masood's column of Disappeared Female Students of Lal Masjid and compare it with the Lal Masjid Commission Report published in 2013. What the Pakistani Press, particularly the Jang Group reported on Lal Masjid in 2007 contradicts what their TV Anchors telecast on the same issue in 2007 and even now they blatantly lie and distort the Issue of Lal Masjid. 2007 Lal Masjid to set up ‘Shariat court’ ISLAMABAD: An announcement about the enforcement of Islamic Shariah will be made at the ‘Enforcement of Shariah and Azmat-e-Jihad’ conference being held here today (Friday) at Lal Masjid. A Shariat court comprising 10 muftis will be set up in this regard. The court will take decisions against those found involved in running brothels and following illegal practices. The Enforcement of Shariat and Azmat-e-Jihad conference will continue till Asar prayers. Noted Ulema will address the conference. 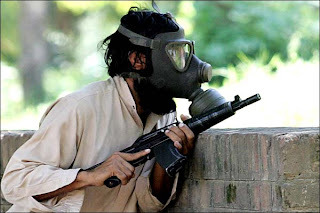 A three-day Aitkaf has started in the central Lal Masjid and it will conclude on April 7. Thousands of people from across the country have reached Lal Masjid. Maulana Abdul Aziz, the prayer leader of Lal Masjid, said that an announcement about the enforcement of Shariah would be made in the conference and a Shariat court comprising 10 muftis would be set up. The court would caution that no one should operate brothels in Islamabad or Rawalpindi. If people did not refrain from pursuing un-Islamic practices, the students of Lal Masjid would take notice of it on their own. 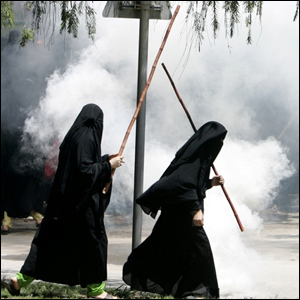 Meanwhile, the federal government has described the use of force in the Jamia Hafsa and Lal Masjid issues as the last option. Sources told Online news agency that Home Secretary Kamal Shah reviewed the whole situation at a high-level meeting on Thursday. Kamal said the government has directed the Islamabad district administration to continue to pursue the dialogue process with the Lal Masjid and Jamia Hafsa administration. The Islamabad administration briefed him about the ongoing negotiations with the administration of Jamia Hafsa and Lal Masjid. The meeting decided that the use of force against the students of Jamia Hafsa would be the last option. The government will try its utmost not to allow the students of Jamia Hafsa to take law into their own hands. The meeting also decided to arrest the elements who are found involved in stopping or forcing the owners of video shops or CDs shops to shut their businesses. 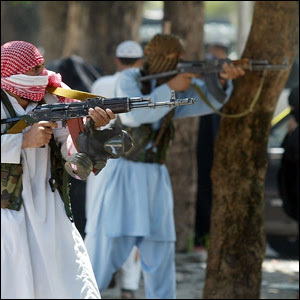 Sources said the National Crisis Management Cell set up in the Interior Ministry is persistently monitoring the matters related to Lal Masjid and Jamia Hafsa.